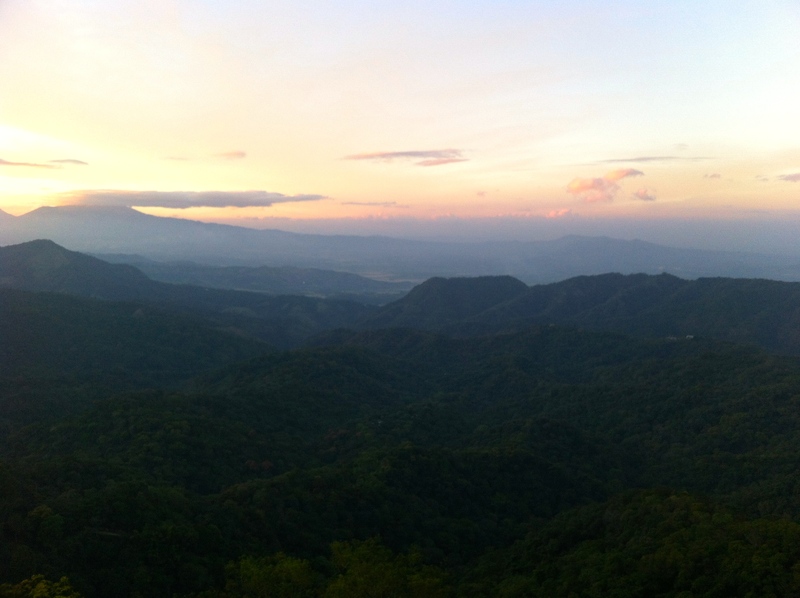 El Salvador is small but full of beauty. In general, its people are among the kindest and most willing to help I have met. 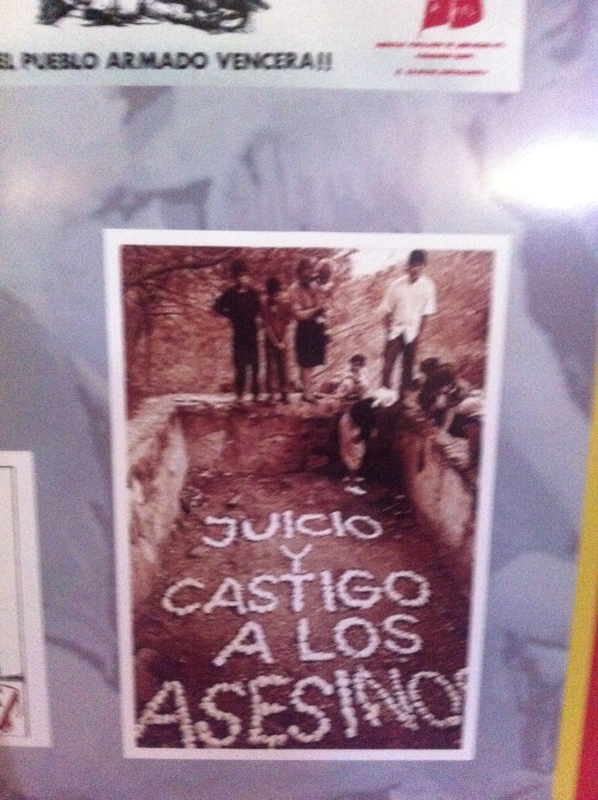 Even amidst great hardship, they elect to maintain a corazon abierto. The most common site and sound, adding to everything you do, is smiling and laughter. 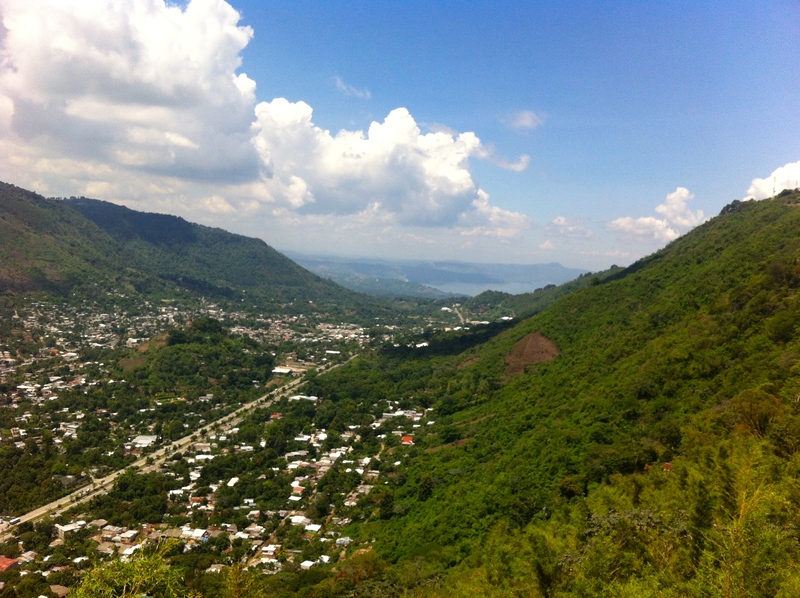 Without a doubt, the greatest thing about El Salvador is its people, the pueblo Salvadoren@. 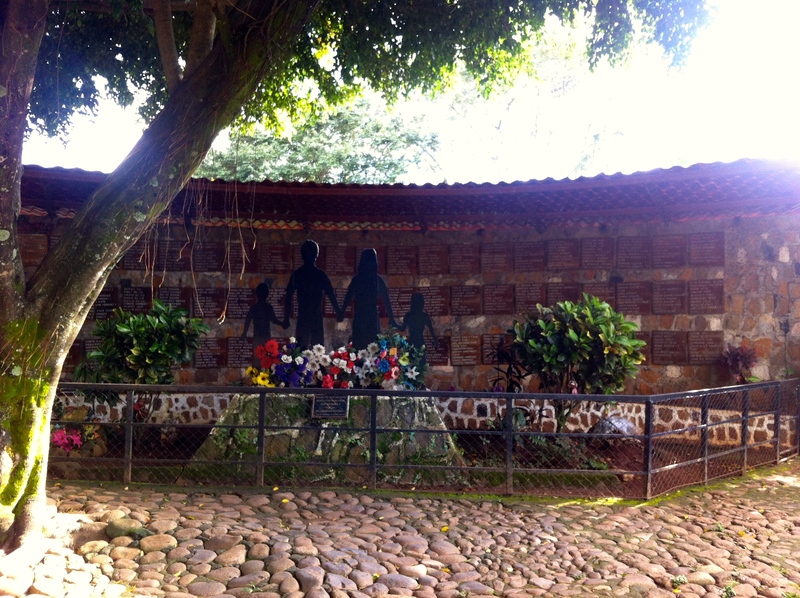 As I write about this pueblo, I am listening to “Sombrero Azul” (https://www.youtube.com/watch?v=ef8sXZ94Ef8) and encourage you to do the same as you read. 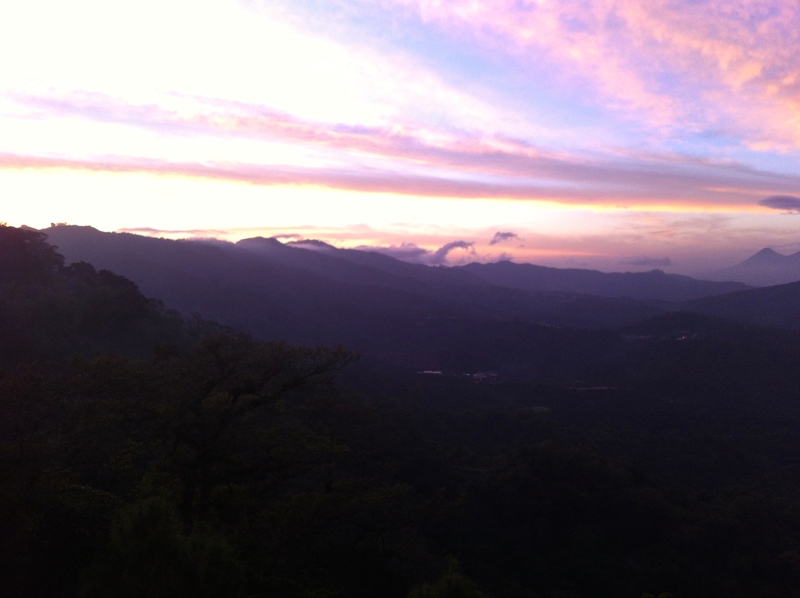 The country itself, nestled in the valle de hamacas, rocking back and forth with frequent tremores, is striking. 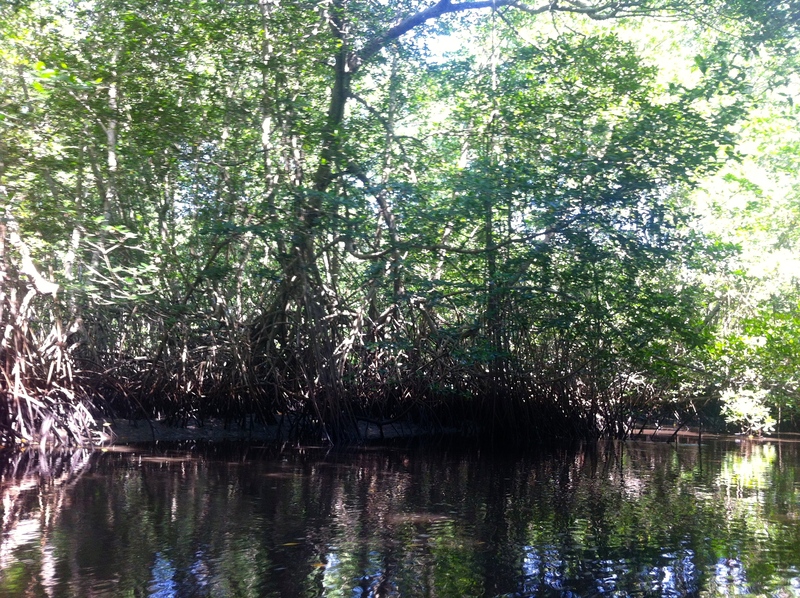 Its smells, paisajes and warmth will not leave you after you have experienced them. 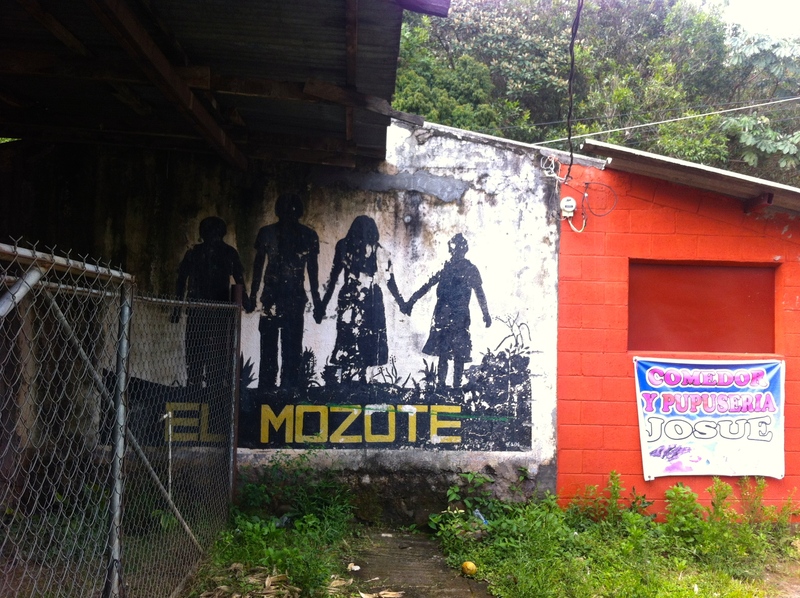 Nearly every Salvadoran I meet outside her country tells me s/he would go back that evening if s/he could be safe, and those of us lucky enough to visit or live here start making our plans to return as we reluctantly head to the airport to leave. 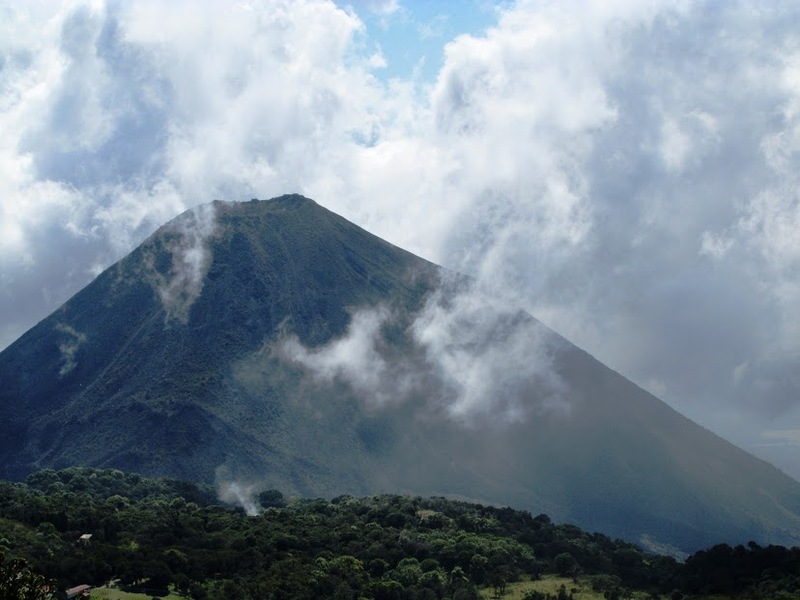 This section is meant to share with you some of El Salvador’s glory, with the hope that you will consider visiting it and supporting its people. I start with the beginning. Every day, the smell of lena hangs in the air, and the colors are vivid no matter what the landscape. 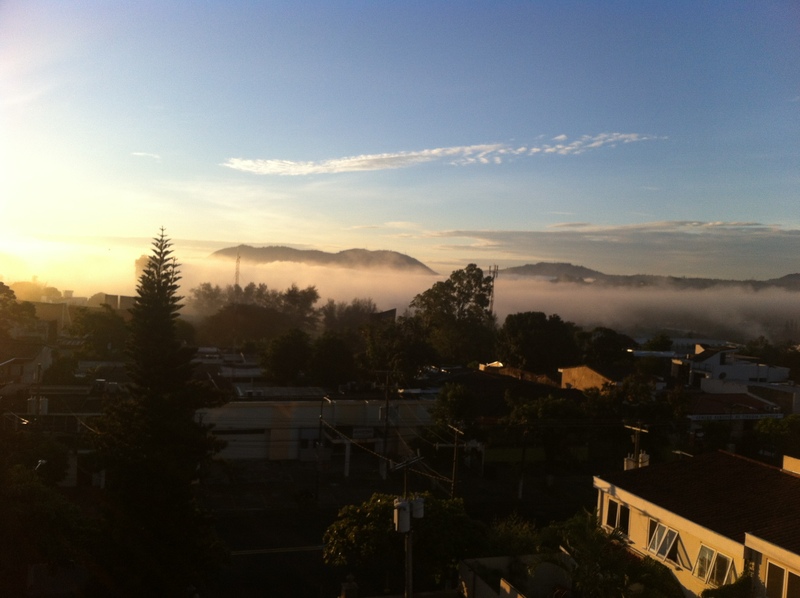 Fog descends most mornings and then rolls out with the rising sun against a rainbow of colors and noise as everyone in the country wakes — see just two of the sunrises from my old balcony in San Salvador’s San Benito neighborhood, both taken in before running off to typical 07:00 meetings. 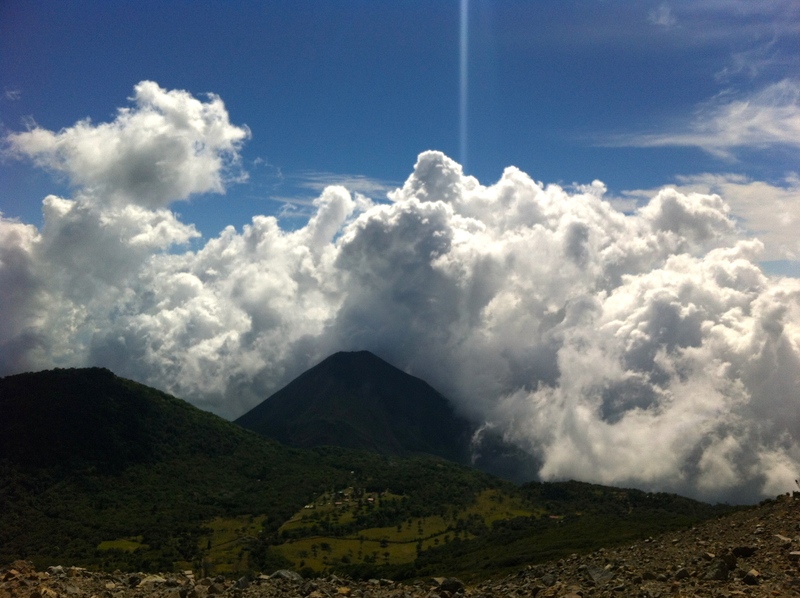 During the rainy season, the clouds return during the afternoon and night. While the torrents can be quite destructive in poorer areas (like those across from the country’s nicest shopping center below), where homes are constructed of mud, tin and other scrap materials, the storms are wonders to watch and clean the streets and air of all that hung before them. As quickly as they arrive, they end, and most nights are filled with stars. Then, the air is surprisingly brisk, even though the sun will bring with it humidity the next day. 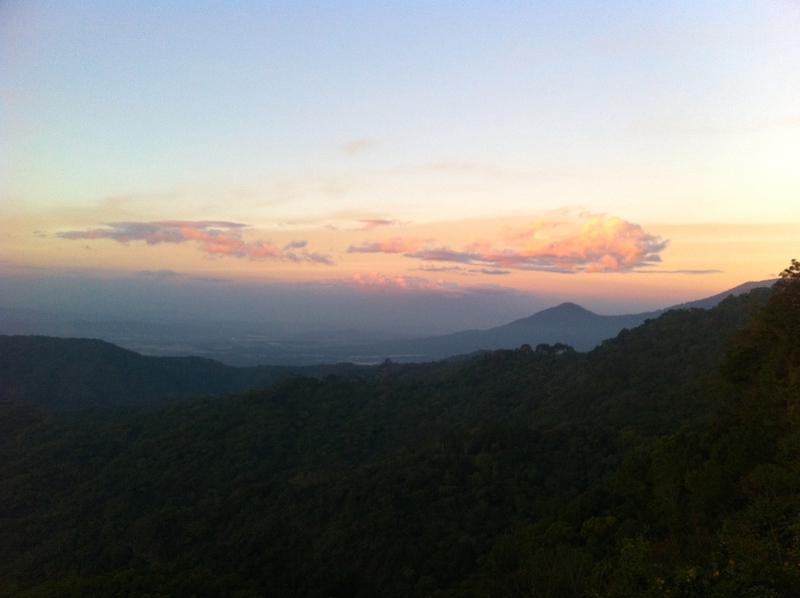 While it is easy to stay in El Salvador’s capital, much of the country’s wonders are outside it. During my last weeks in the country, I rented a car (which you can do for much cheaper from a local person/company) and hit the road — often with Karla. The country’s highways (one pictured below) are in fairly good shape. Nonetheless, many people and animals walk or bike along the shoulder and other cars can be very slow, meaning that while distances are short, time it takes to arrive can be large. Also, since there are no streetlights, and sometimes large potholes, driving at night can be hazardous. Off the highways, the roads are less than ideal and can be quite rugged, I’d thus recommend renting a 4×4 if you plan on visiting areas outside the cities. 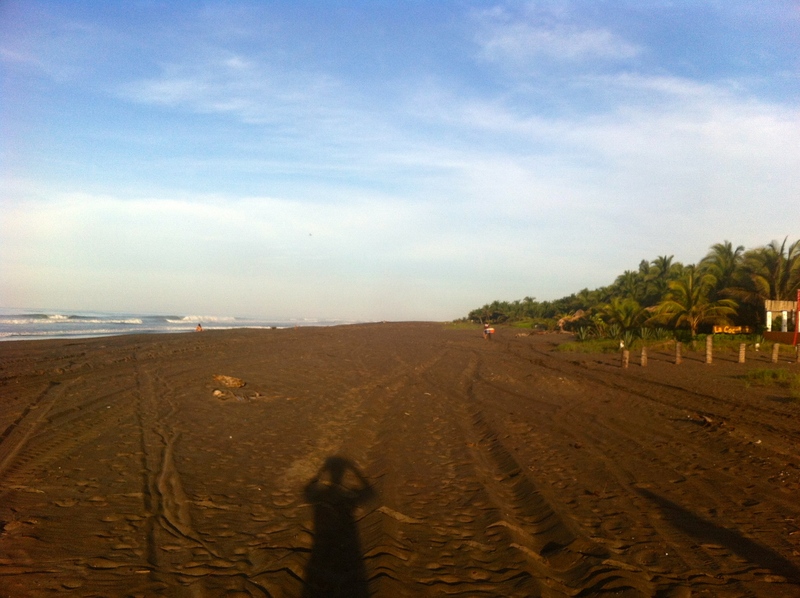 El Salvador has many beaches — some of white sand, some of gold sand and some of black sand. Most international visitors go to El Tunco or El Sunzal in La Libertad, and they’re known for great surfing and decent dining and hotel accommodations. 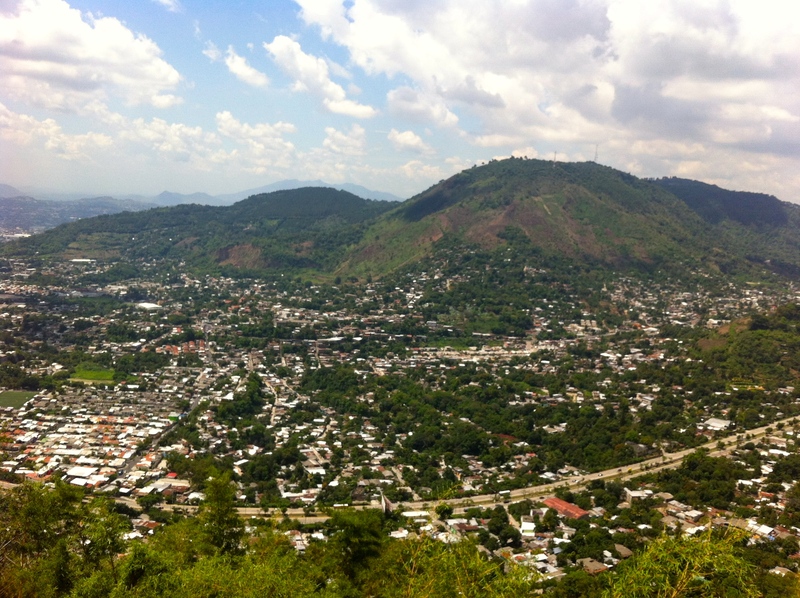 My favorite beach and place in El Salvador, however, is Barra de Santiago in Ahuachapan. 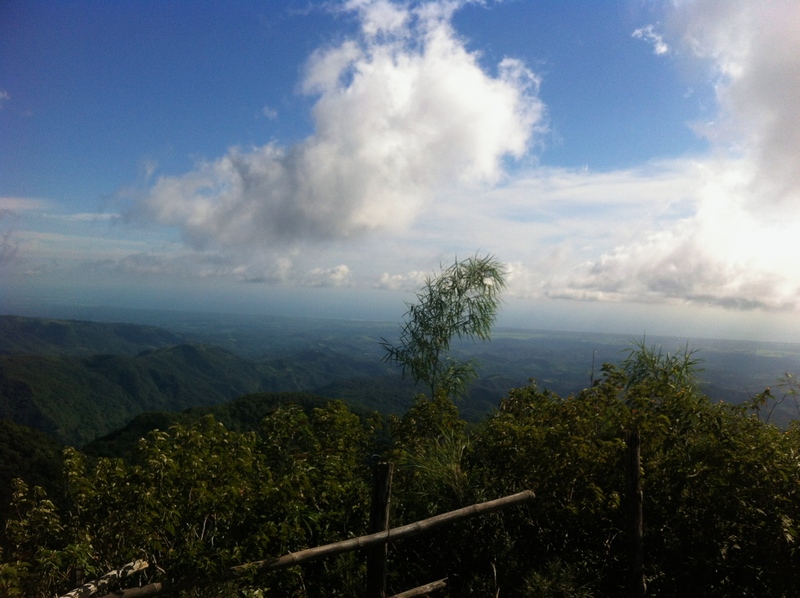 It is isolated and tranquil and straddles the Pacific Ocean on one side and a magnificent estuary and mangla on the other side. 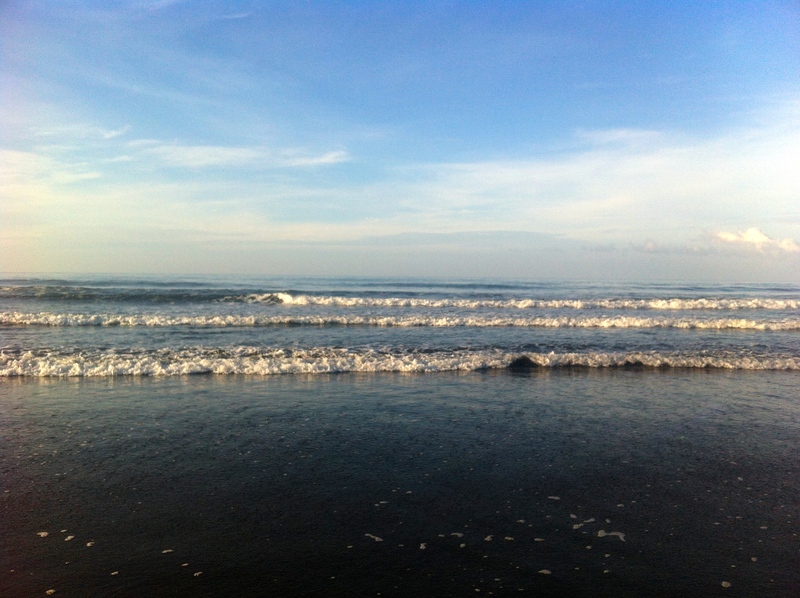 It has a considerable, walkable coastline. You can go on turtle hunts at night, mangla tours during the day, and since the waves are smaller here than in other parts of the country, you can swim with out too much fear that you’ll be crushed into the sea. Because it is not a popular spot, you should make your overnight arrangements in advance. We stayed at the Capricho Beach House (http://ximenasguesthouse.com/Capricho_Beach_House.html), and a more upscale option, La Cocotera (http://lacocoteraresort.com) is next door. 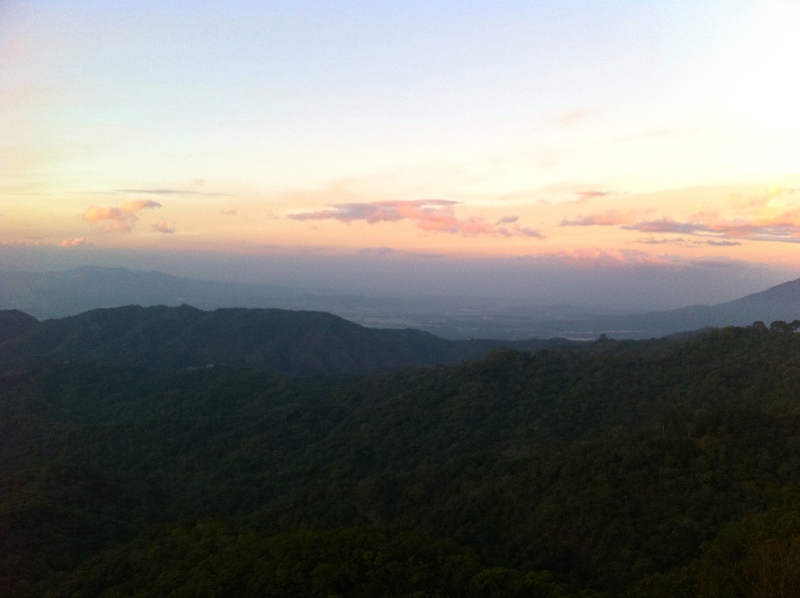 Both Parque El Imposible and the Ruta de Flores are easy drives. I most enjoyed driving the Ruta de Paz (http://www.latimes.com/travel/la-trw-et-wartours8may08-story.html#page=1, http://elsalvador-in.com/ruta-de-la-paz/ or http://www.elsalvadordestinos.com/espanol/rutas/delapaz3.php) in Morazan. 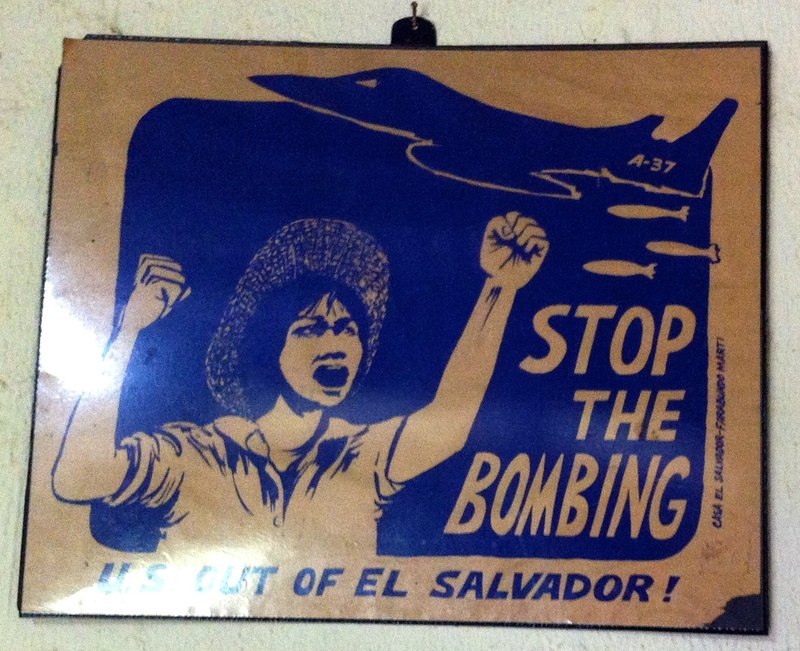 During the war, this was a stronghold of the FMLN, and as a result, saw much bombing, death and destruction at the hands of US-funded and trained Salvadoran military forces. Today, these communities have banded together to preserve their history and keep their communities strong. 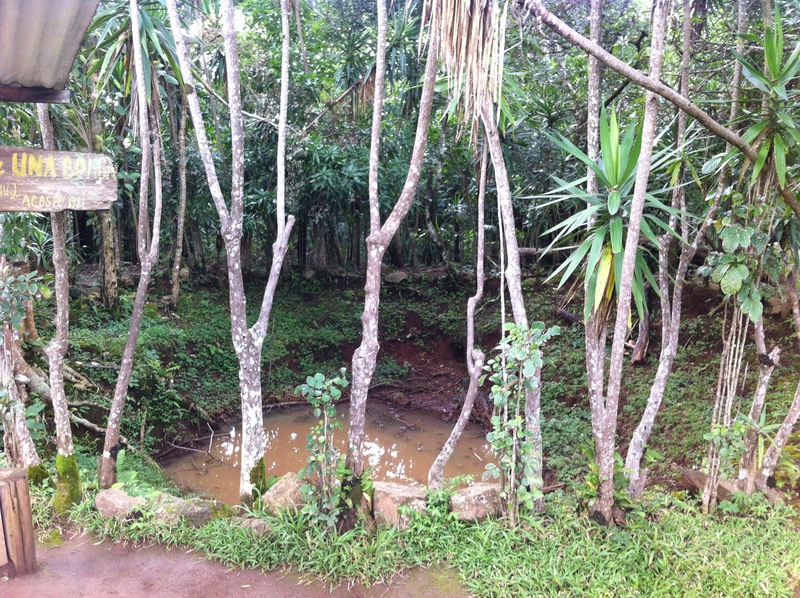 The area is lush and rolling, but it lives with the recognition that bodies buried there deserve justice today. 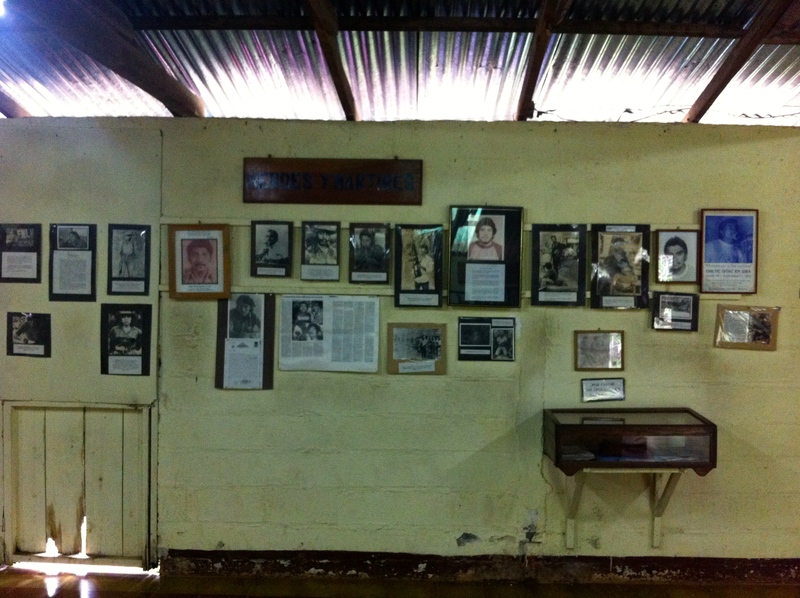 The Revolutionary War Museum in Perquin is rich with artifacts. 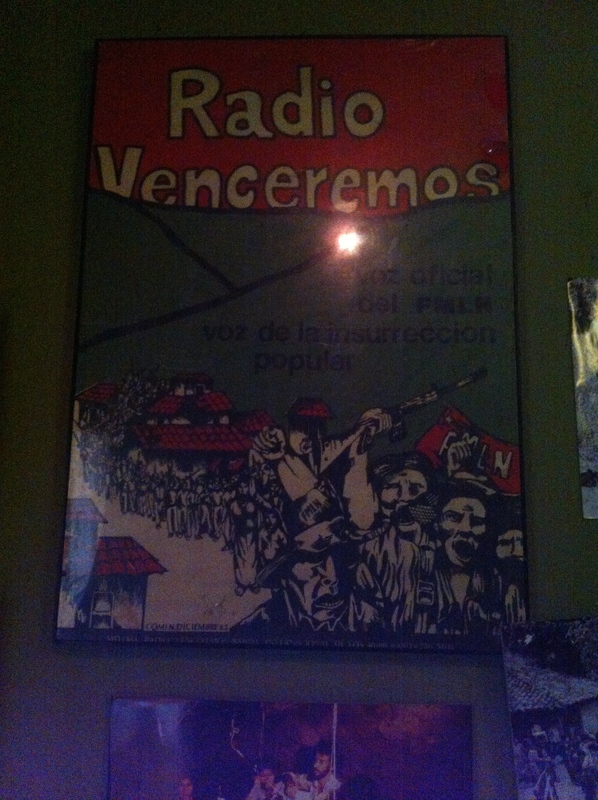 Outside it is one of the Radio Veneremos stations and a crater left by one of the bombs dropped there. Former guerrillas sit near the humble building and gladly talk with visitors. 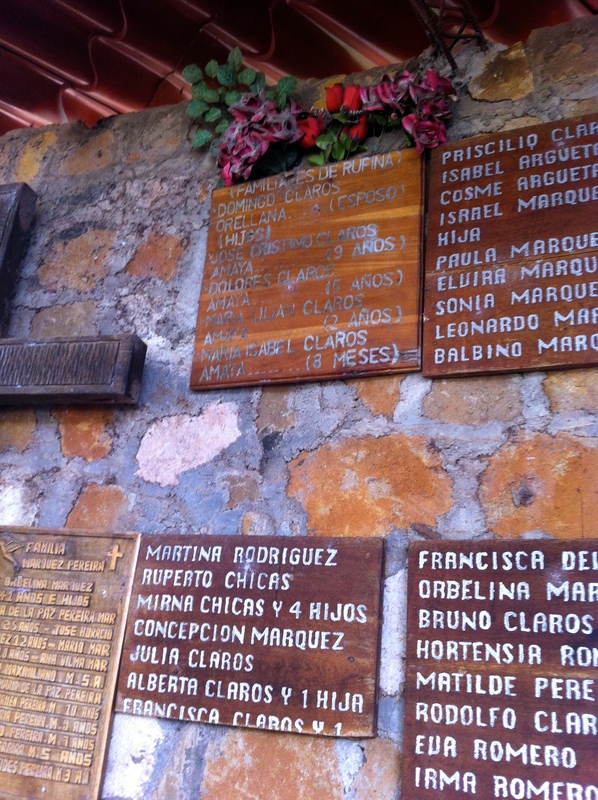 El Mozote was the site of the largest massacre during the war. 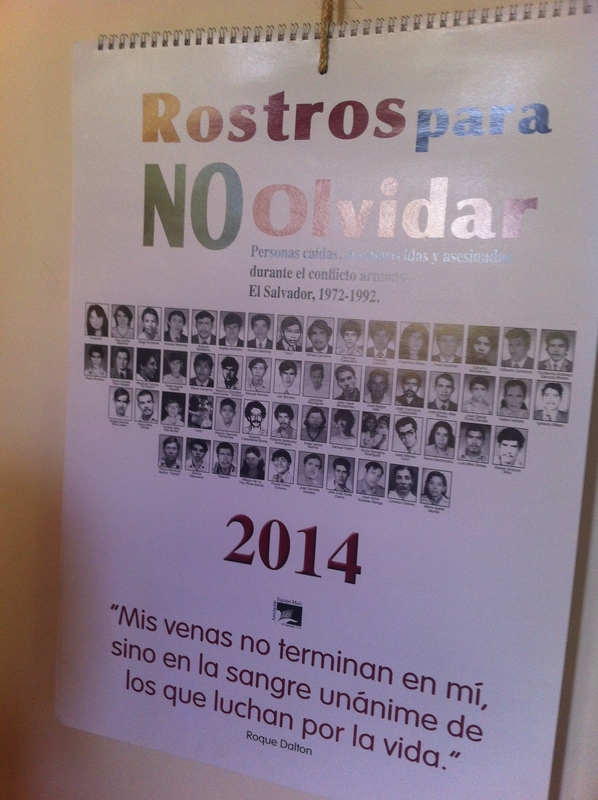 Nearly 1,000 people, mostly women and children, were murdered by the US-trained and funded Atlacatl Battalion (mentioned again below). 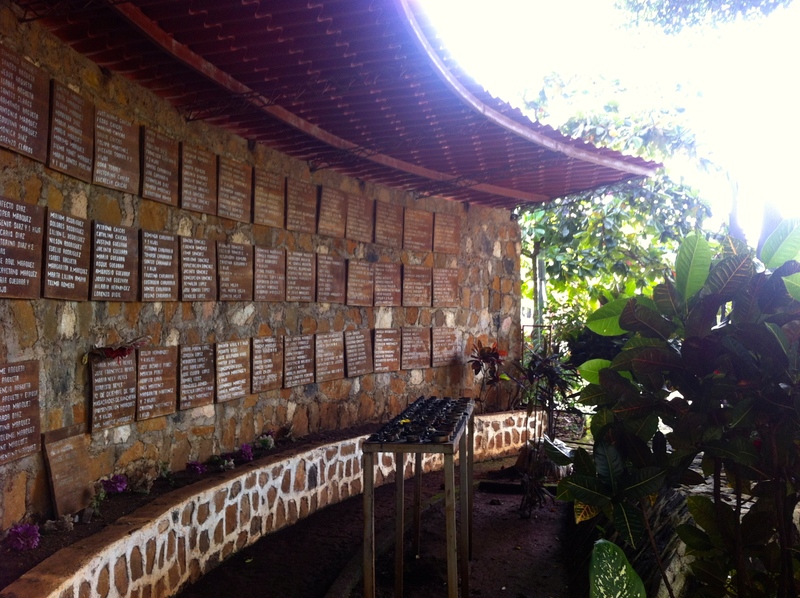 A memorial has been built to some of the families lost, and one of the survivors often sits on the bench across from the memorial and answers questions posed. 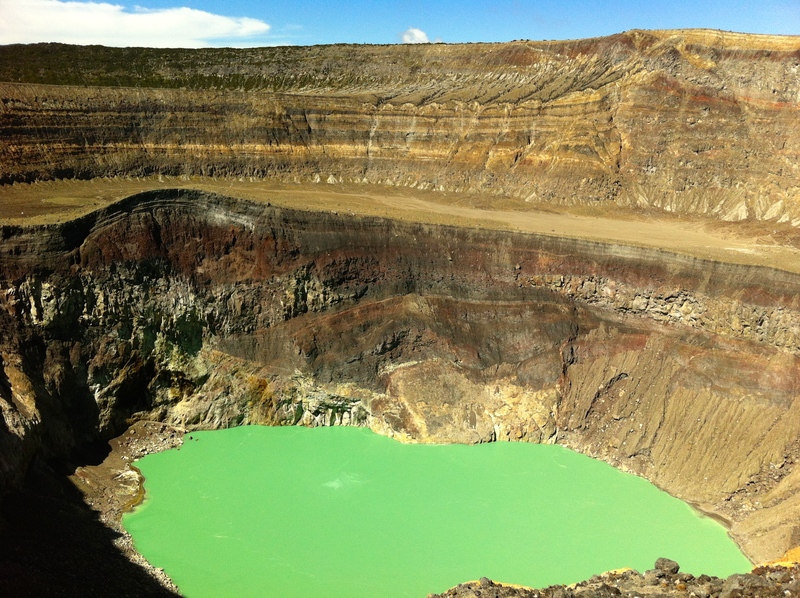 The Ruta de Paz has several other towns and sites along it, including: Arambala (with Rio Sapo, El Bailadero de Diablo, Cascada El Perol, El Llano del Mureto, and Cerro Pericon), Joateca (with aguas termales), Cacaopera (with the Museo Winakirika and a small segment of the population who still speaks the indigenous language, Ulua), El Rosario, San Fernando, Torola (with a historic site for the most crucial battle in 1982, El Moscarron), Corinto, Guatajiagua, Delicias de Concepcion, Meanguera and Jocoatique. 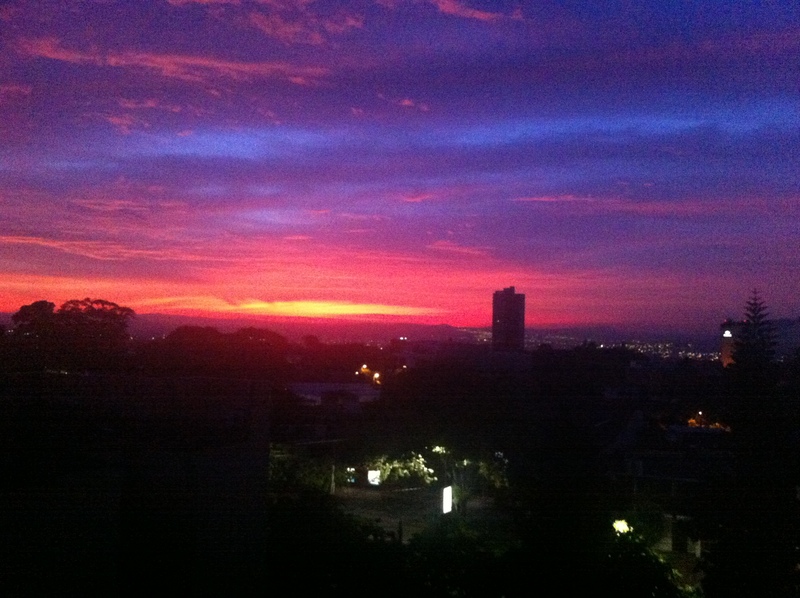 You should either stay in the area or leave the capital as early as possible (06:00). Allow at least a whole day. We drove by the Perkin Lenca (http://www.perkinlenca.com), and it looked like a nice place to stay. 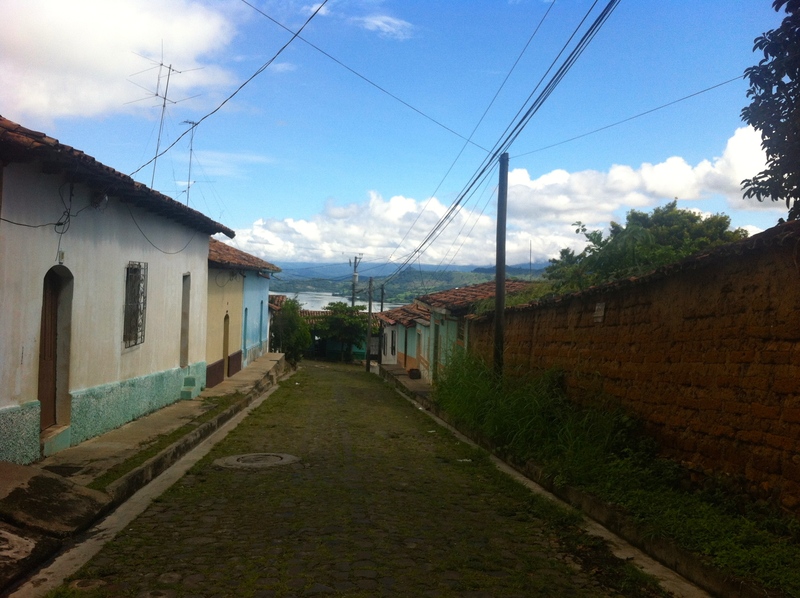 I took a solo day trip to Suchitoto, which sits on Lago Suchitlan. 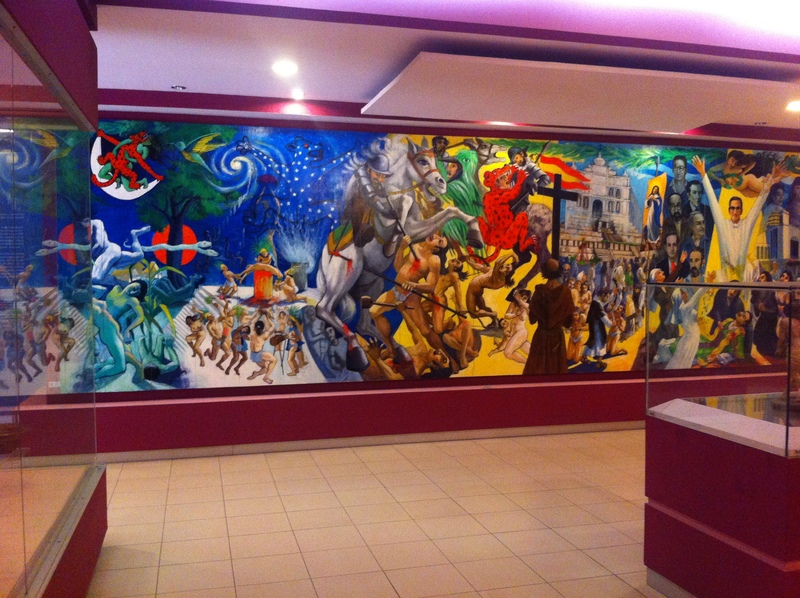 It has several good restaurants and the Museo La Memoria Vive (http://www.elsalvador.com/mwedh/nota/nota_completa.asp?idCat=6482&idArt=5187380). 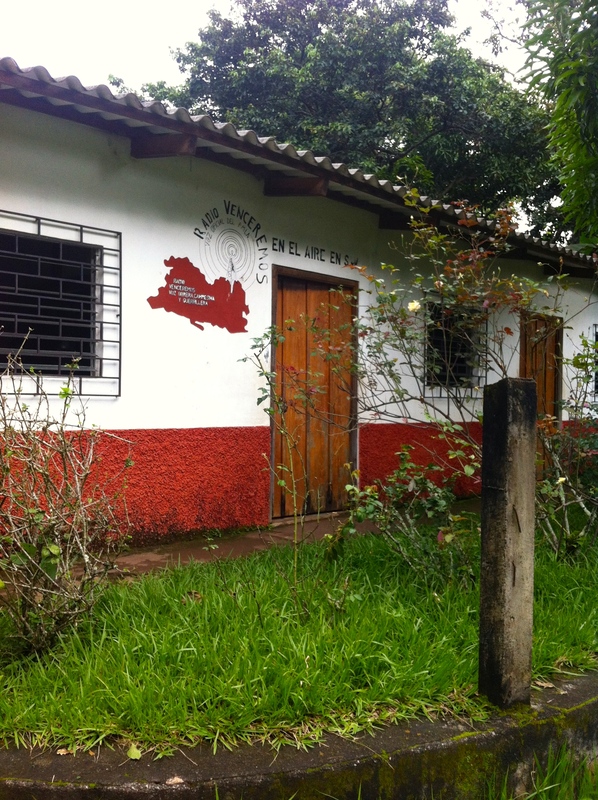 Like Morazan, it was a FMLN stronghold and saw more than its share of violence during the civil war. It has two museums and a park recognizing this fact. It is also a base for lake activities. 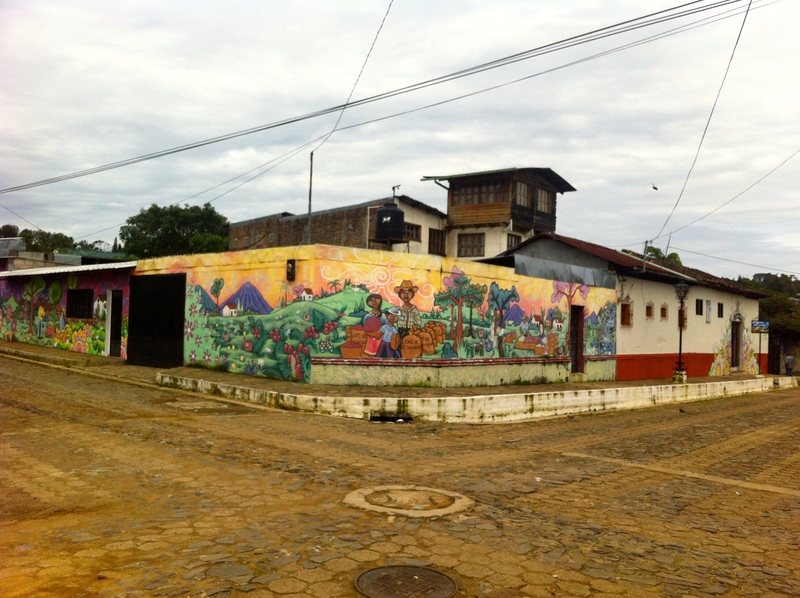 From Suchitoto, you can reach the town of La Cinquera, which was chronicled in the excellent, short documentary, El Lugar Mas Pequeno (The Tiniest Place — http://tiniestplace.weebly.com), in about an hour. 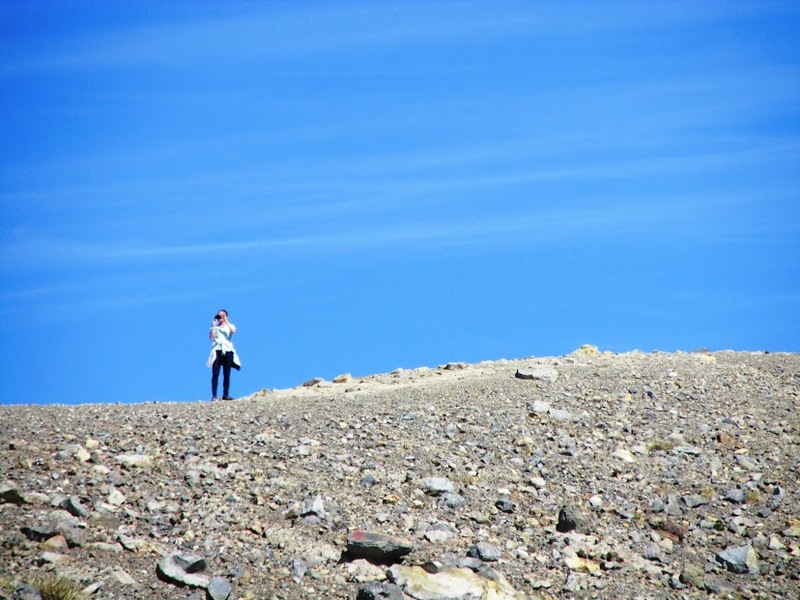 The road is rough and narrow, and you should not go alone or after dark. 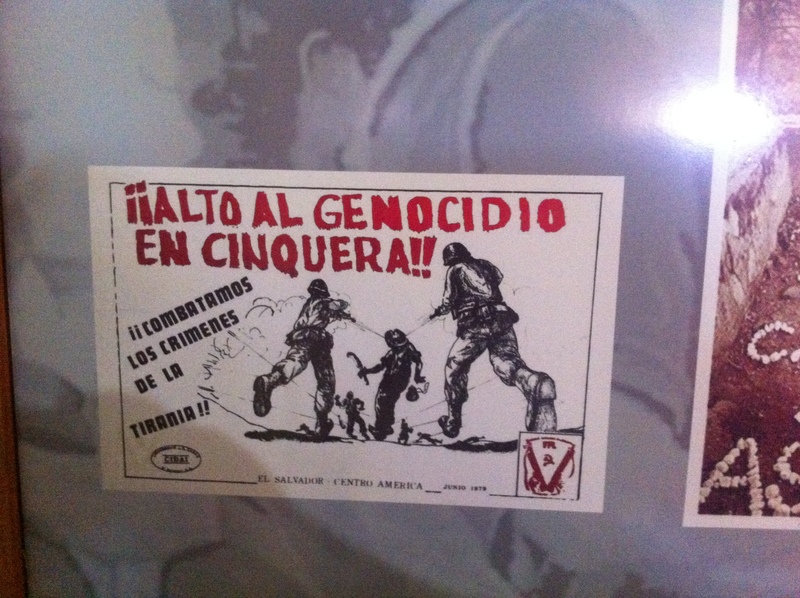 During the week, Cinquera’s revolutionary war museum (http://www.diariocolatino.com/es/20111126/nacionales/97819/Museo-de-Cinquera-iniciativa-que-nace–del-corazón-de-la-población.htm) is not regularly open, but if you call ahead, they will open for you. 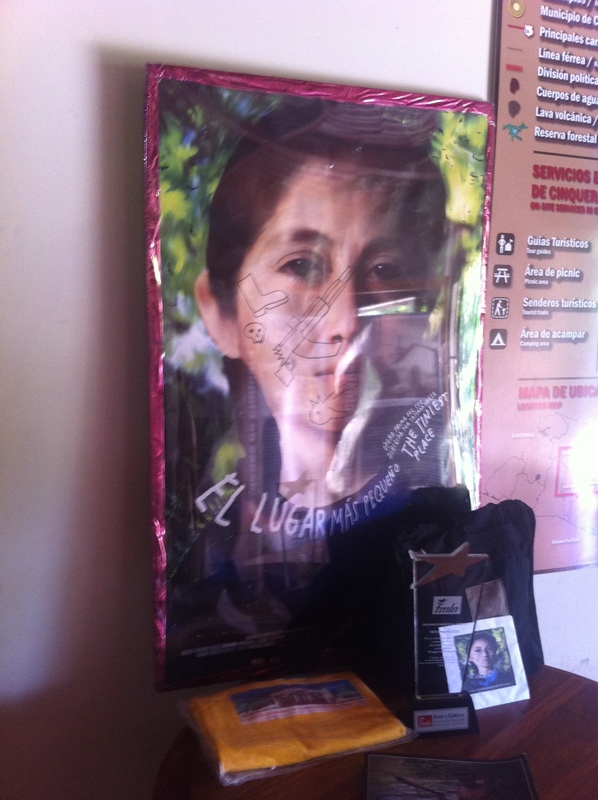 Rosa, whose image is on the documentary’s cover, operates it and is a wealth of knowledge. 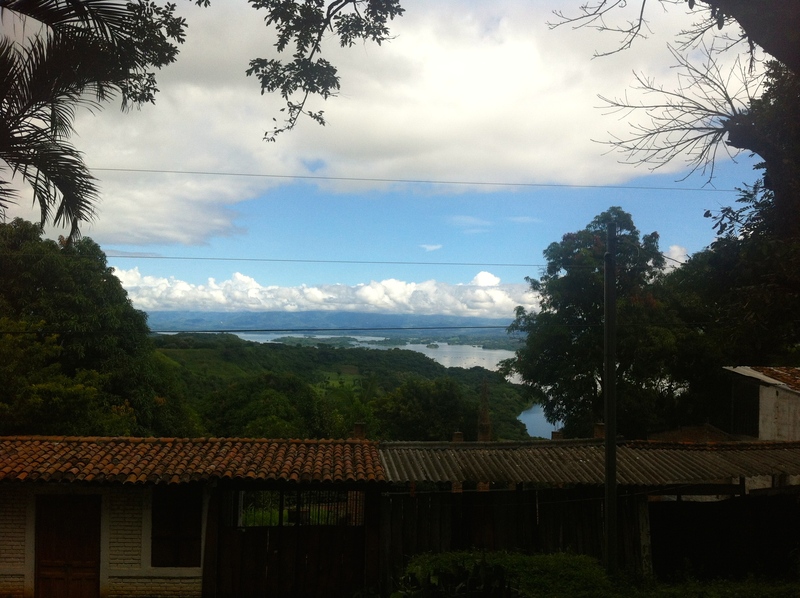 We also enjoyed the Ruta de Flores (http://www.frommers.com/destinations/ruta-de-las-flores#sthash.fMM0T5vi.dpbs) through the country’s coffee-growing area. We had both been to the first two towns on the route, so did not stop during this trip. 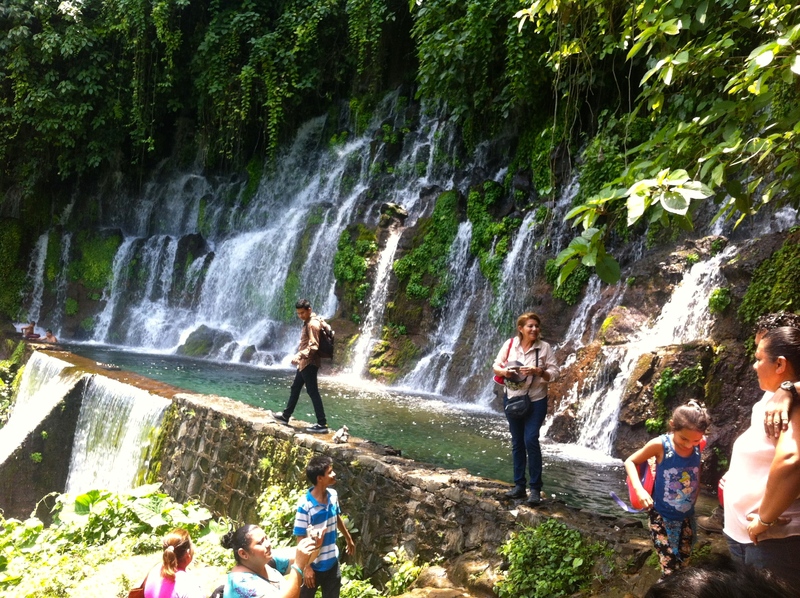 Two friends, Julie and Francisco, took me to Juayua’s waterfalls and food festival in the summer — one of those two towns. 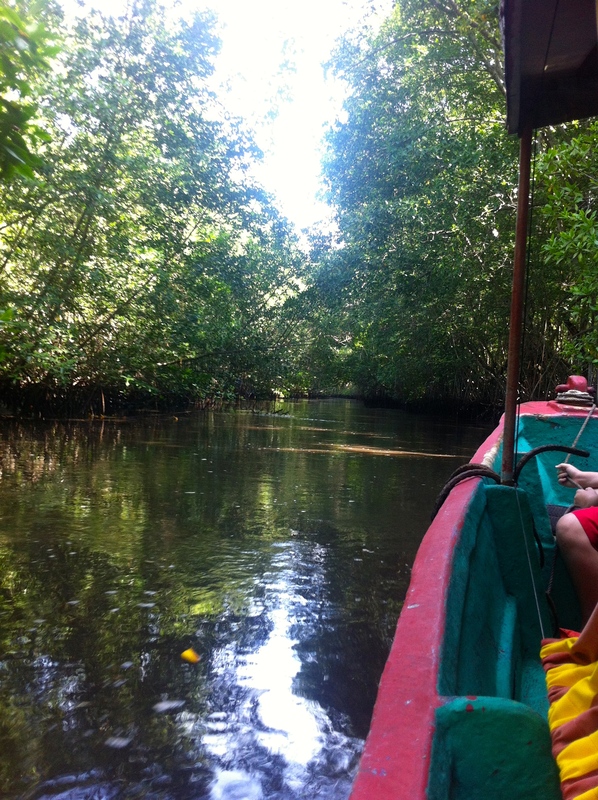 Karla and I first stopped at Laguna Verde, slightly off the ruta. 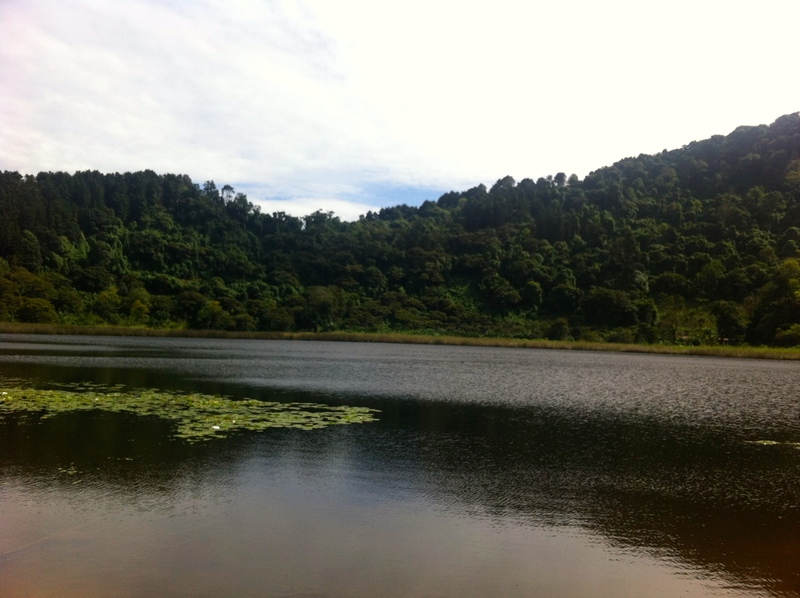 It is a volcanic lake and has a narrow walking path around it. Two young boys told us the myth of how the lake was created, which of course involved a witch and a curse, and kept us thoroughly entertained. From there, we got a delicious, hot and cheap desayuno tipico (of plantains, black beans, scrambled eggs and a hot beverage) with pupusas at Cafe EntreNubes (http://www.entrenubescafe.com). The restaurant has hanging plants and hammocks. 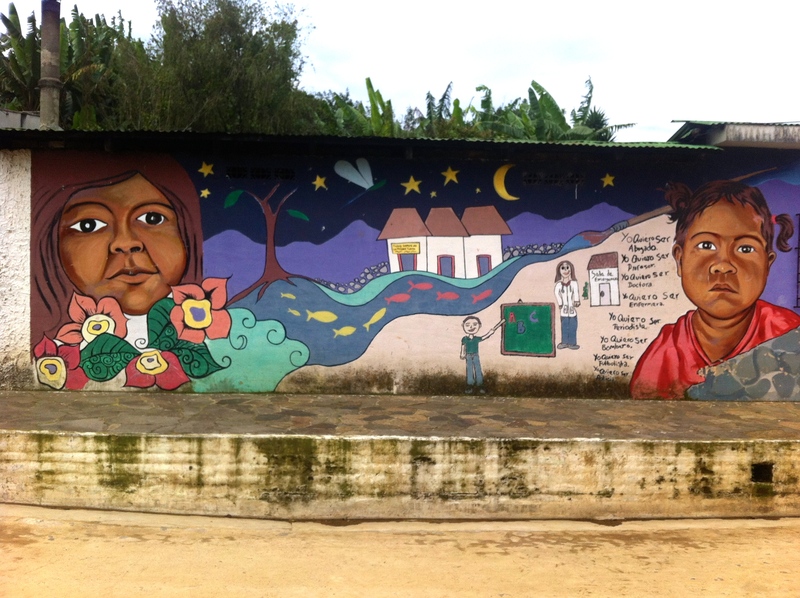 We then got back on the road to Ataco and marveled at its murals. Many others enjoy a coffee here, but we were still full from breakfast. We walked around town and listened to some of the music at the town center before going in search of zip lining in Apaneca. Unfortunately, the zip lining company did not have enough clients for the day, and we were unable to go. 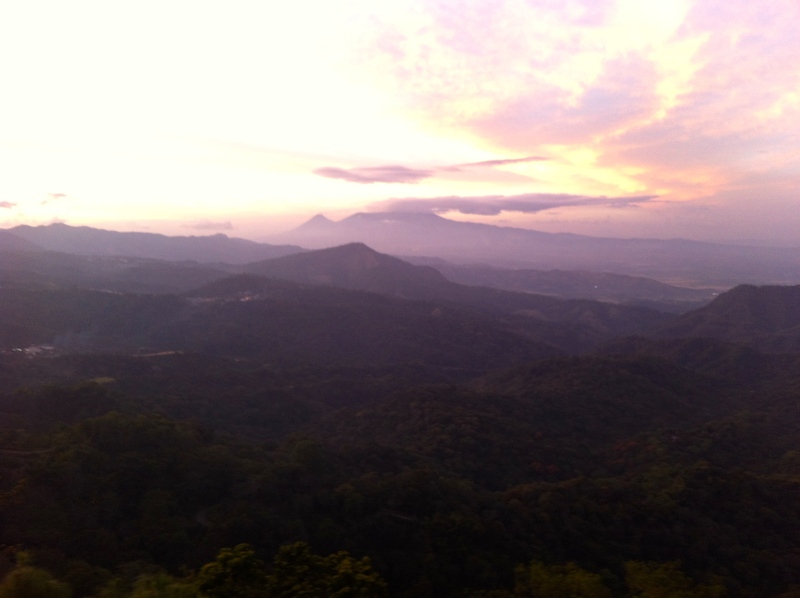 We thus turned around and went to a finca to have almond coffee with the best quesadilla (similar but far better than what we call cornbread in the US) I had during my time in El Salvador. 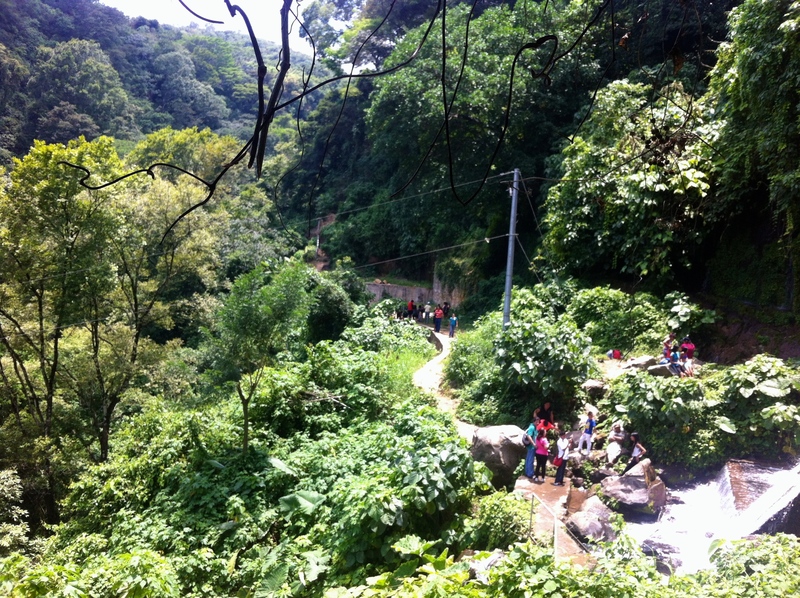 At that point, we had completed the Ruta de Flores and set off for Parque El Imposible (http://www.elsalvadorturismo.com.sv/turismoelsalvador/areasnaturales/parque-nacional-el-imposible/ or http://en.wikipedia.org/wiki/El_Imposible_National_Park). Online guides advised launching from Tacuba, but it no longer serves this purpose. 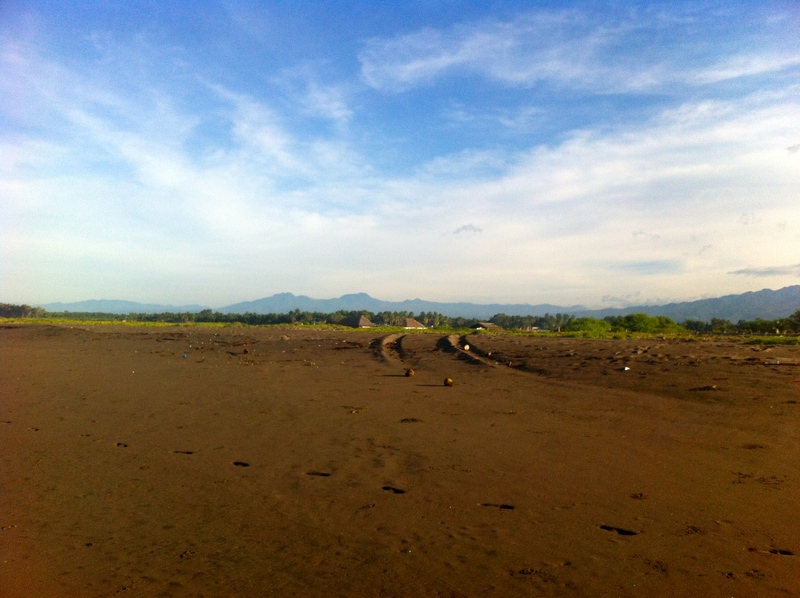 So, we ended our day at the beach in Barra de Santiago (mentioned above). We went on a turtle hunt, without seeing any, that evening and then a tour of the mangla in the morning. 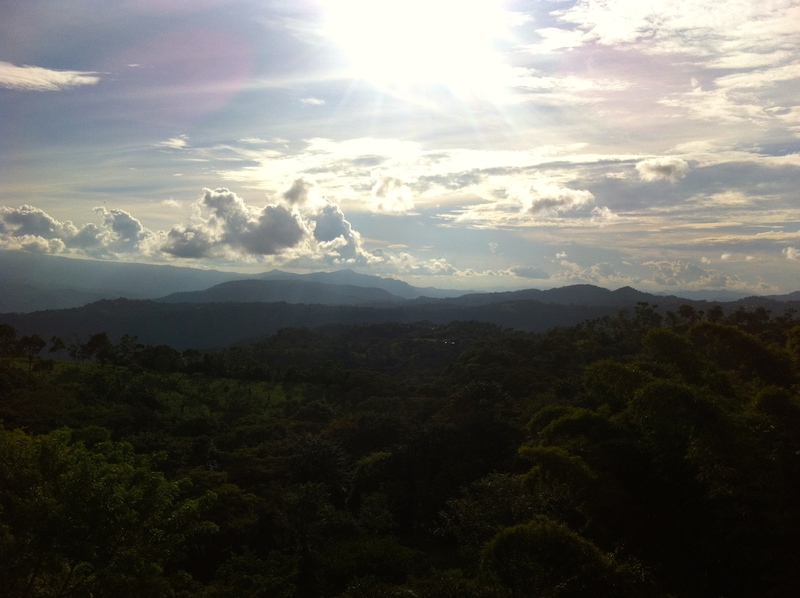 After finishing, we drove to Parque El Imposible and arrived right before the cutoff for leaving. 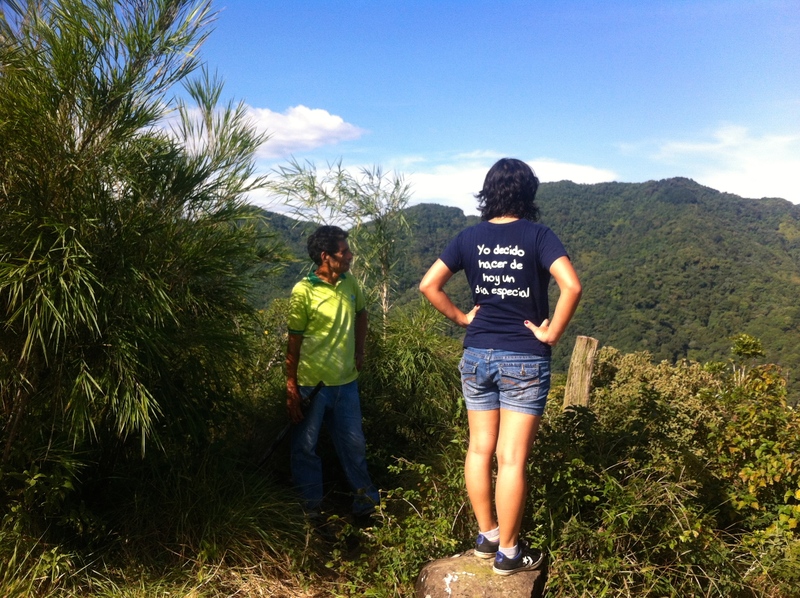 Our guide, Jose, rushed to the top with us — and said we were the second fastest he’d ever led, which surprised him since we are women. A father of eight children, he had many good stories. From the top on the clear day, we could see the Pacific Ocean from which we’d come. 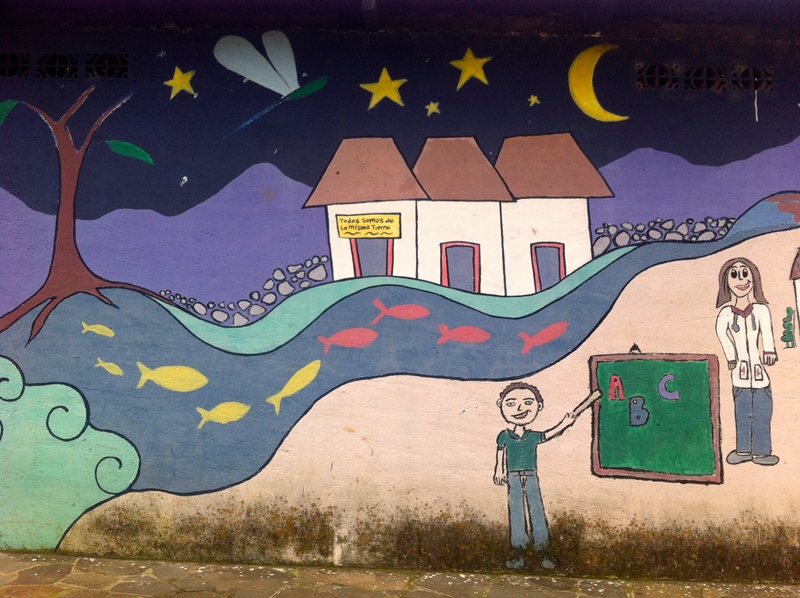 We had the chance to visit a few communities home to children and families we interviewed earlier in the year. 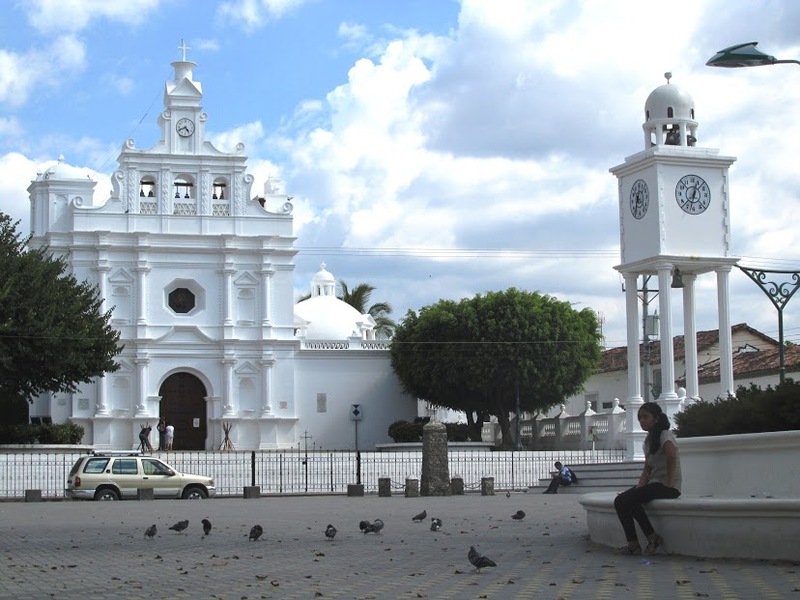 The white church in the center of Metapan, Santa Ana is very peaceful. 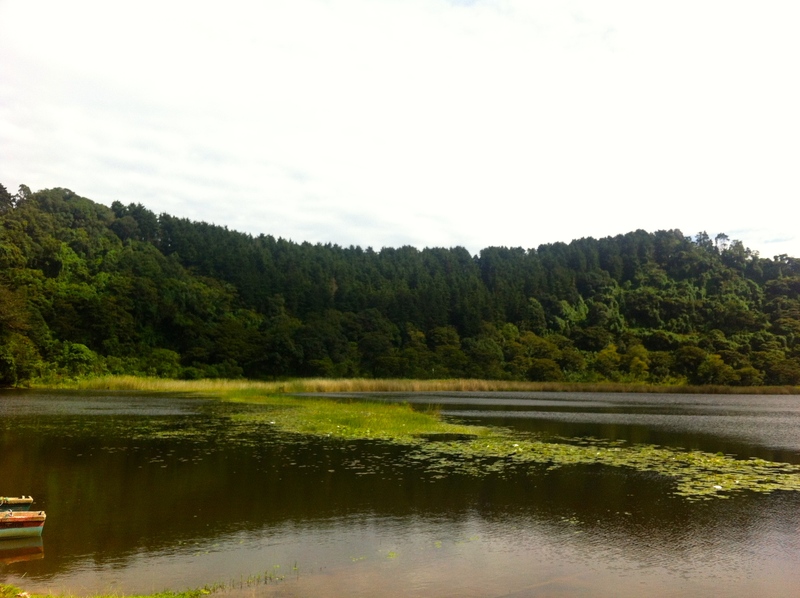 After our visits in Metapan, we headed to Lago Coatepeque. 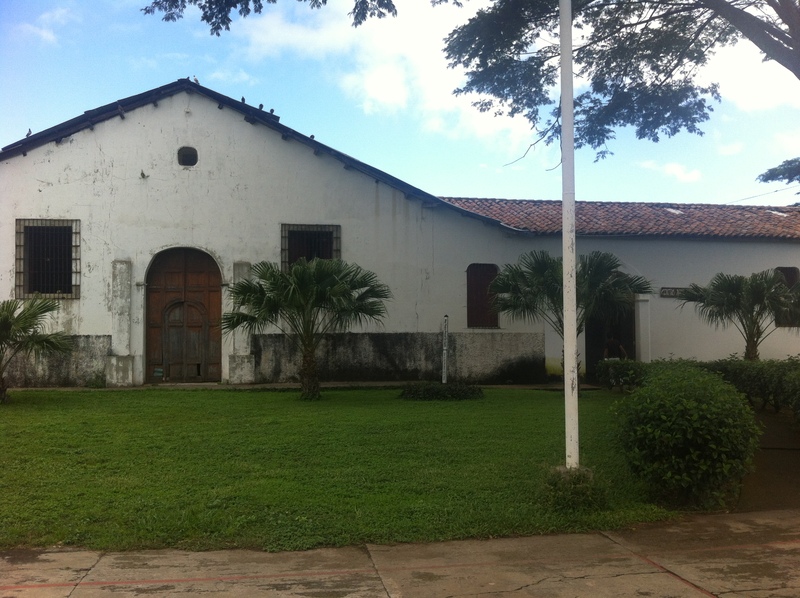 As is the case in Barra de Santiago, most places to stay are privately owned. Thus, you should arrange your accommodations in advance. The next morning, we went to the Parque Nacional Cerro Verde/Parque Nacional Los Volcanes (http://www.elsalvadorturismo.com.sv/turismoelsalvador/areasnaturales/parque-natural-el-cerro-verde/ or http://en.wikipedia.org/wiki/Cerro_Verde_National_Park). 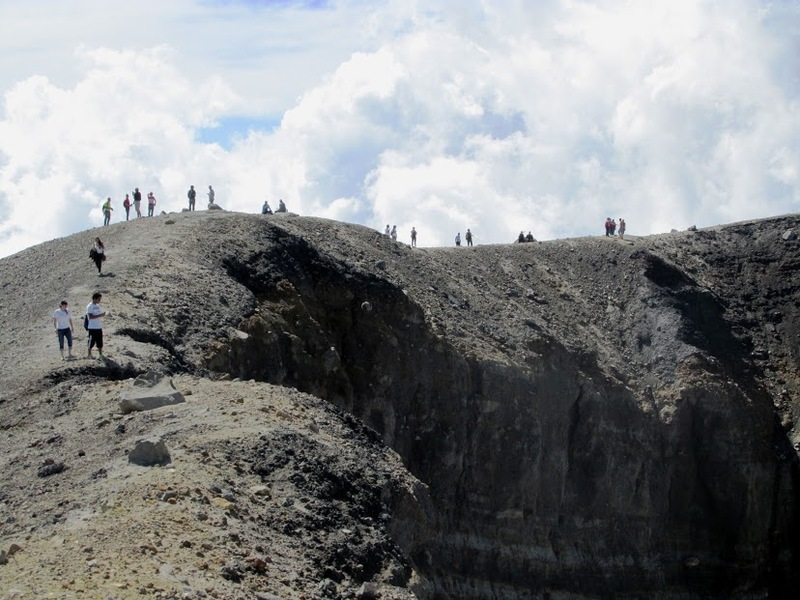 You can go to the top of either volcano but must do so on a guided tour. Because the groups are large, they move quite slowly. 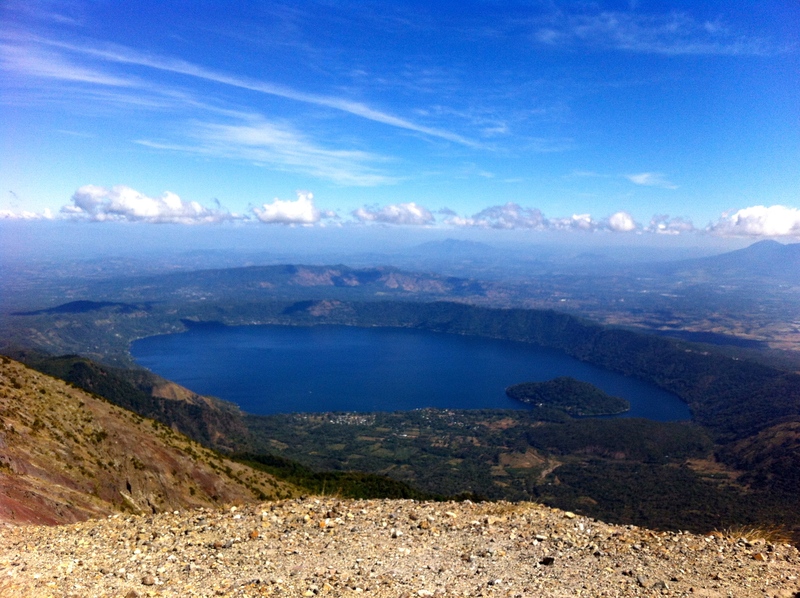 Nonetheless, the views at the top of Lago Coatepeque, the other two volcanoes, and the sulphuric lake are worth it. We managed to sneak away on our own for the descent. 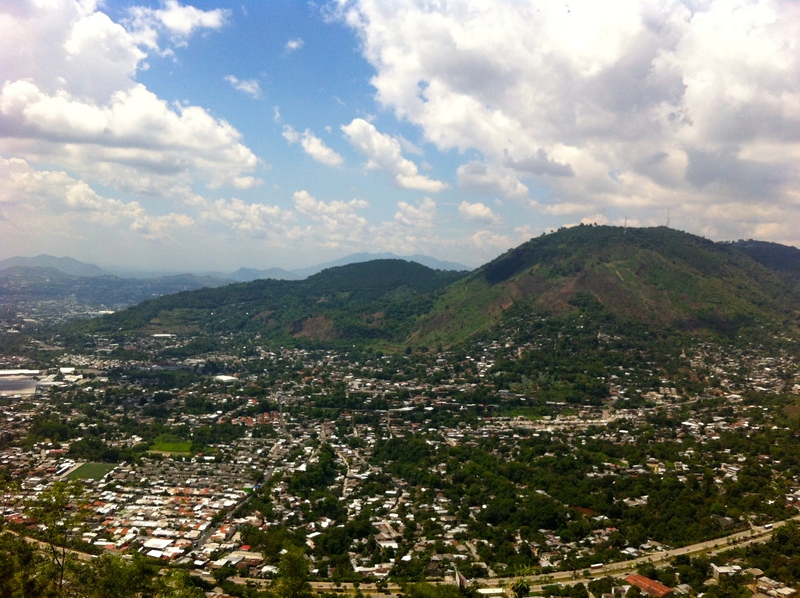 Coming into the city of San Salvador, a number of look outs exist with panoramic views. El Boqueron has a good number of restaurants that allow you to eat and watch. 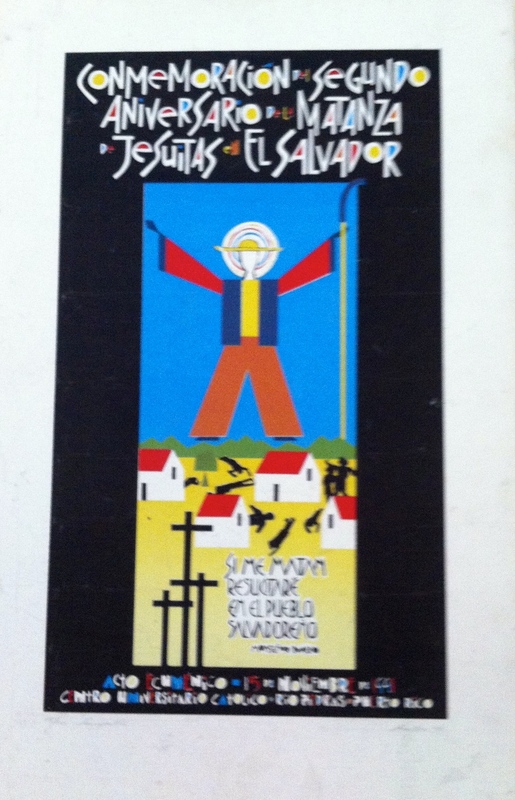 In the capital of San Salvador, as in the rest of the country, history is living. 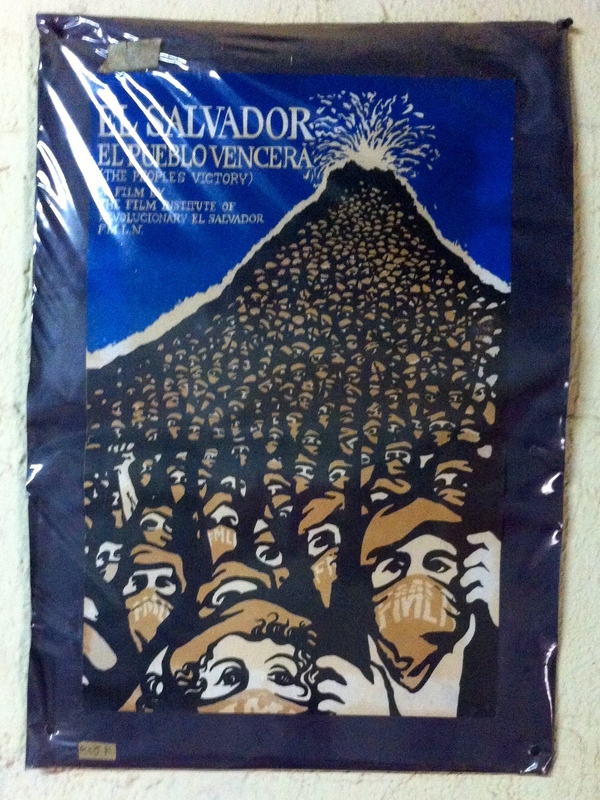 I often walked by the Hombre Revolucionario (Revolutionary Man), commonly called “el chulon” (naked man). 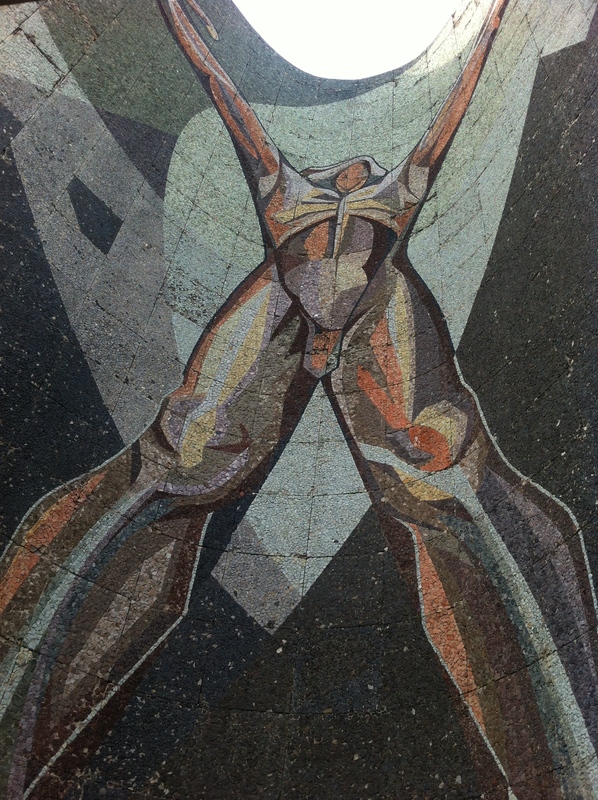 He has a female counterpart (la chulona) several kilometers away who is not nearly as large or inspiring. Nonetheless, both remind me that those who want freedom, justice and truth must be willing to fight for and defend it. 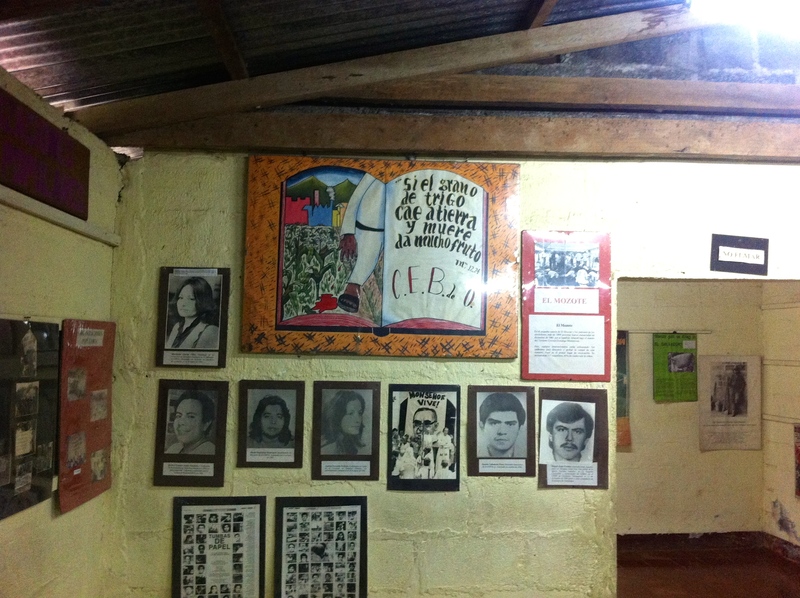 The Universidad Centroamericana has a small museum in honor of the six Jesuit priests and two women who were murdered in 1989 by the US-trained and funded Atlacatl Battalion (also responsible for El Mozote). 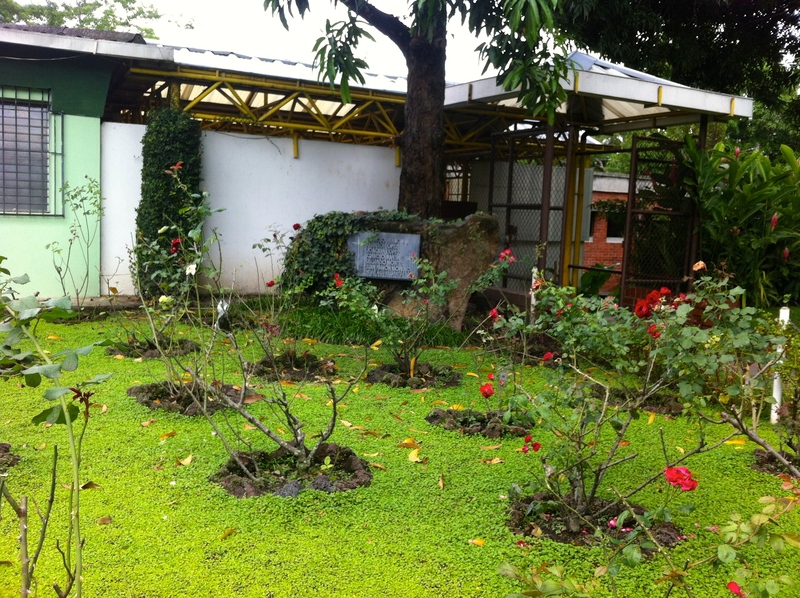 The surviving husband and father of the two murdered women planted a rose bush for each person lost and maintains them to this day. 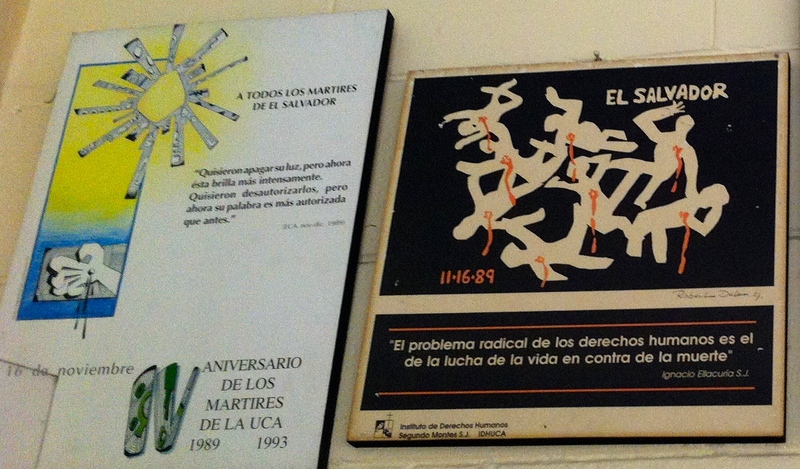 It is a reminder, often expressed in posters from the 1980s and 1990s, that the blood spilled planted and fertilized the seeds of change. 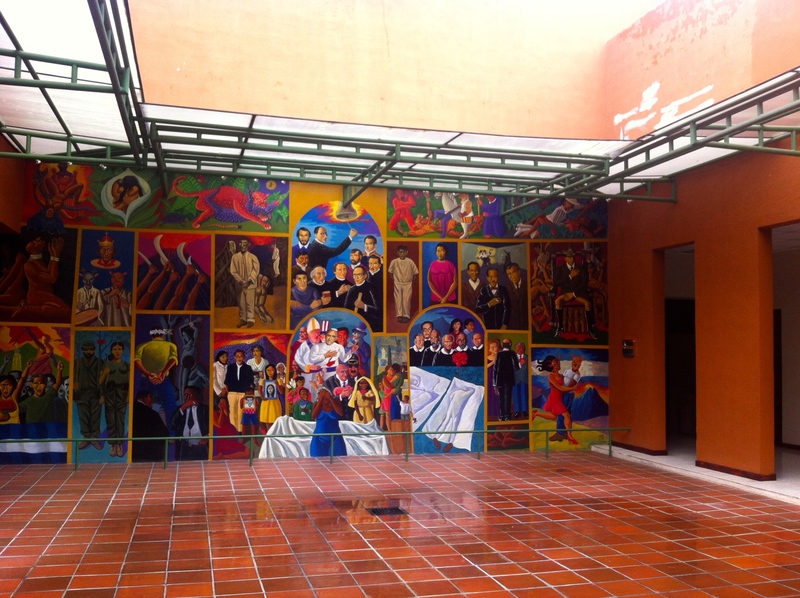 The Museo de la Imagen y la Palabra (MUPI, or the Image and Word Museum — http://www.museo.com.sv) is small but packed with historical treasures. 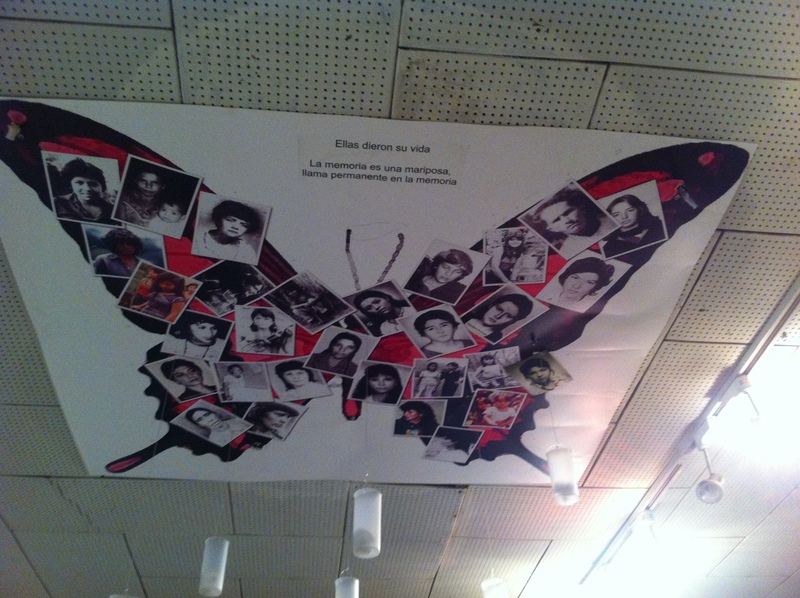 It has artifacts from one of the Radio Venceremos stations, photographs of women who fought in the war, a section profiling Monsenor Romero and a movie discussing El Salvador’s recent history. It also sells many hard-to-find books. The Dr. David J. Guzman Museo de Antropologia (http://www.lonelyplanet.com/el-salvador/san-salvador/sights/museums-galleries/museo-nacional-de-antropologia-david-j-guzman) has a number of great exhibits on Salvadoran archaeology, history, agriculture, migration, labor and religion. To take full advantage, you should allow at least half a day. 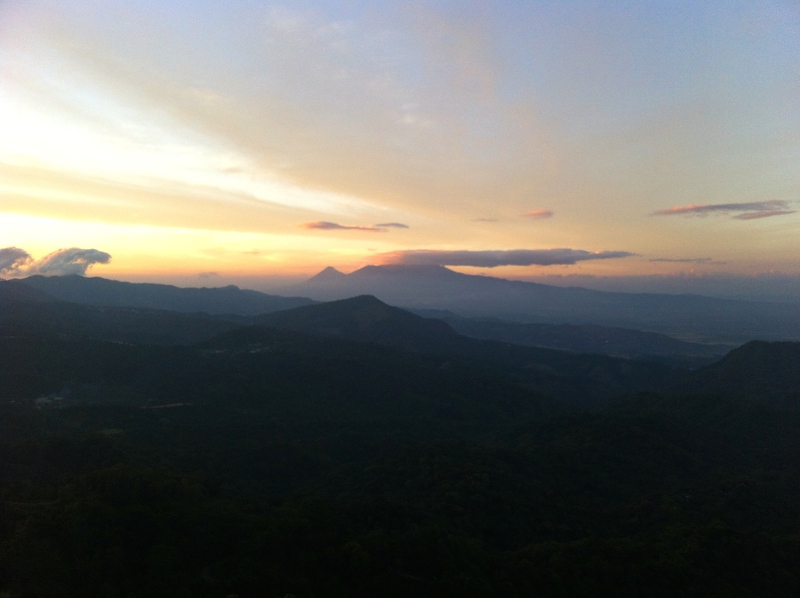 I end with the last sunset I saw in El Salvador in December 2014. Karla and I drove to a restaurant, El Mirador de la Giralda (https://unturistaenelsalvador.wordpress.com/2012/08/07/el-mirador-de-la-giralda-talnique-la-libertad/) on the outskirts of San Salvador in Comasagua, La Libertad. As the sky put on a marvelous show, we ate pupusas and toasted yet another memory made during a conversation filled with how to bring about justice. … and what our next steps in the study would be. 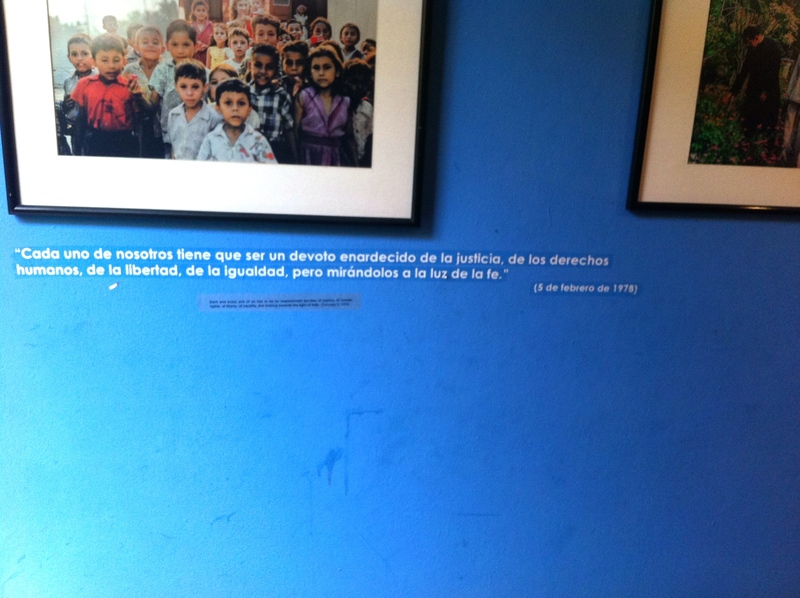 El Salvador has given us what we have and inspired us to seguir adelante. 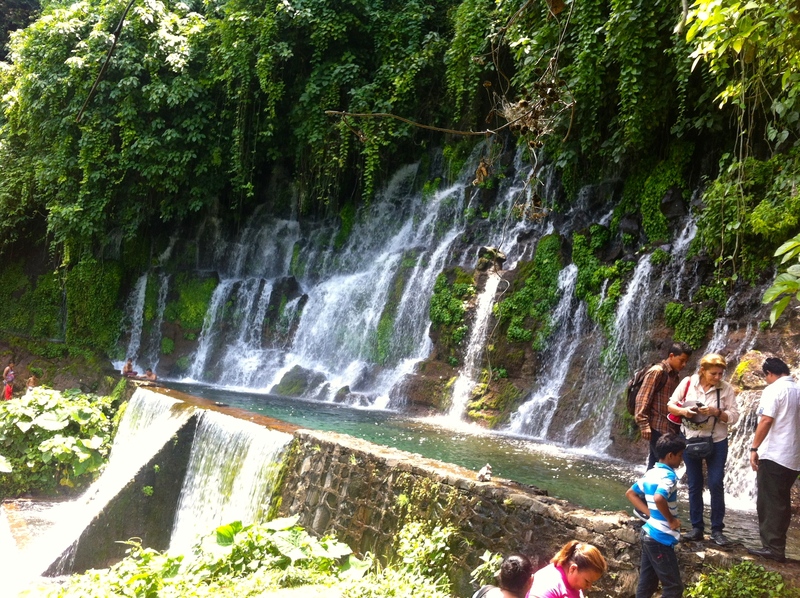 The most extensive travel guide I found for El Salvador is Frommer’s: http://www.frommers.com/destinations/el-salvador#sthash.SDjY4KiL.dpbs. 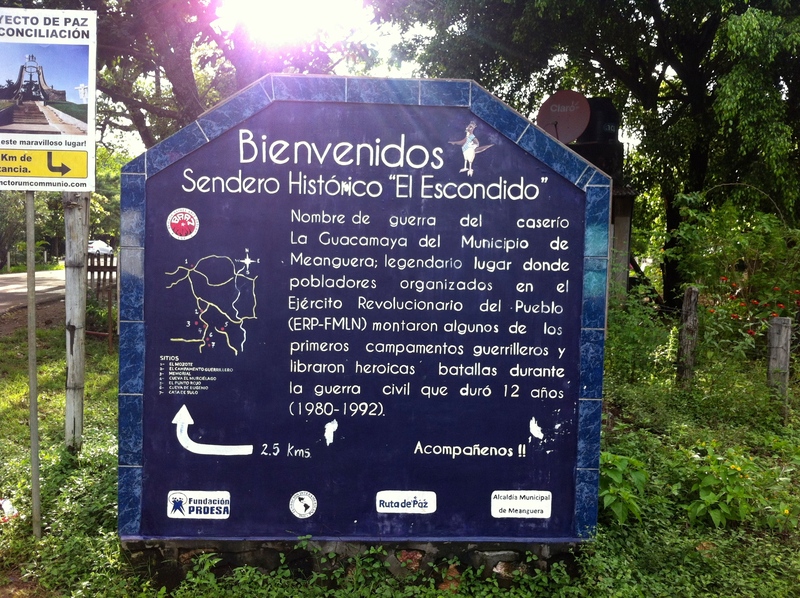 This site has good information as well, if you read Spanish: http://www.elsalvador.travel/impresionante/. 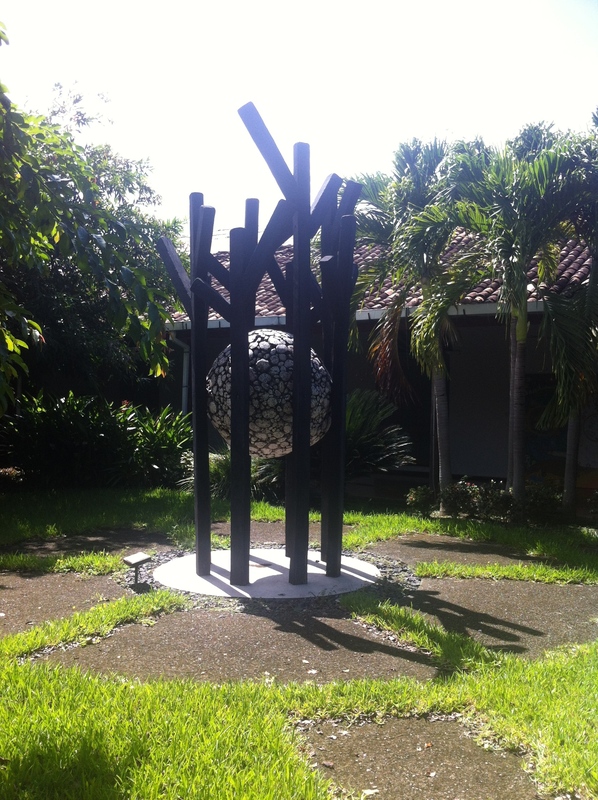 Each town or city in El Salvador is supposed to have a Casa de la cultura that can advise you on what to do in the area, but these are rarely open, if they exist. SalvaNatura (www.salvanatura.org) services Parque El Imposible and Parque Nacional de los Volcanes. 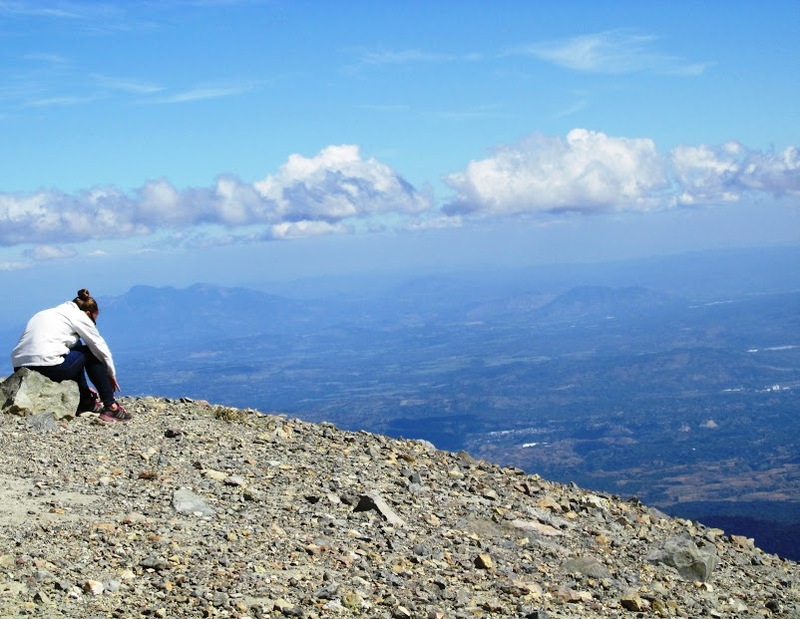 A few places still on my list to visit are: El Pital, the highest point in El Salvador (http://www.elpital.com.sv or http://www.elsalvador.travel/impresionante/index.php/explorar-impresionante/vida-nocturna/34-turismo/montanas/111-cerro-el-pital); the archaeological route, which includes Joya de Ceren, Tazumal, and San Andres; Playa El Espino; Playa Maculis; the Balsamo Coast; the Isla de Montecristo and nearby Isla Bahia de Jiquilisco, near Parque Montecristo; the garden town of Alegria, which offers great hiking; and the Guazapa volcano (www.ecoturismolamora.es.tl).